Three days breathing Javitz Center air have left me feeling a little delirious. But before I self-medicate by planting flowers and working out at the gym, let me share a few BEA pics with you. 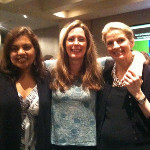 Mitali Perkins, Jennifer Donnelly and I did a good job representing YA books at the Indie Choice Book Awards luncheon. After I won the award for Most Engaging Author (THANK YOU, INDIE BOOKSELLERS! ), my daughter Stef worked hard at keeping me humble. 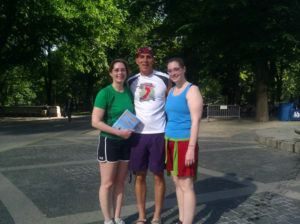 Stef and I were lucky enough to go running with Christopher McDougall, author of BORN TO RUN. I was very happy to catch up with Sarah Dessen who has been busy criss-crossing the country to support her new book, WHAT HAPPENED TO GOODBYE. 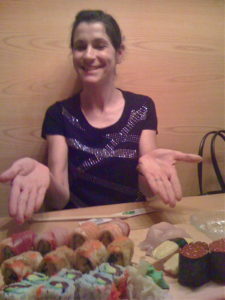 AND I enjoyed a spectacular sushi lunch with my editor, Joy. I was going to include lots of photos and breathless commentary about the fast-paced bidding and high-pitched drama at the ABFFE art auction. 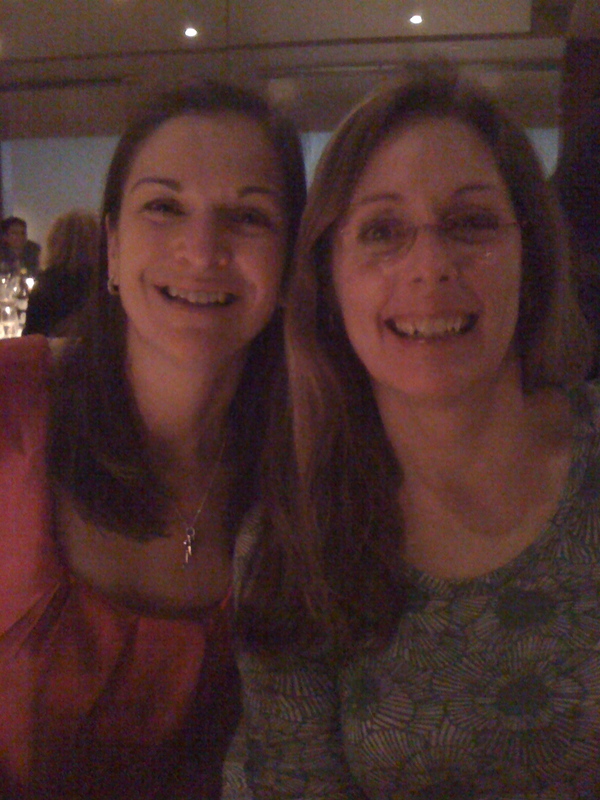 But I was so busy talking and bidding (mostly talking – EVERYONE I know in publishing was there, including Sarah Odedina from Bloomsbury, the British publisher of CHAINS and FORGE), that I didn’t take even one single pic. GAH! 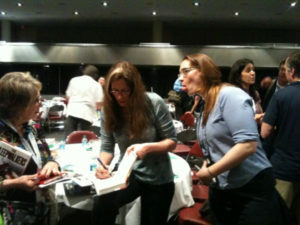 You can read a little bit about the auction in Josie Leavitt’s blog. Thank you to everyone who came out and made the night such a success. BE SURE TO CHECK IN TOMORROW FOR DETAILS ON HOW TO BID ON HAVING ME CRITIQUE YOUR MANUSCRIPT!!! ALL PROCEEDS GO TO HELP THE PEOPLE OF JOPLIN, MO!! BEA – the ginormous annual publishing conference – is just around the corner. I’ll be there Monday- Thursday, and plan on having a Very Good Time Indeed. One of the coolest things at BEA is the Silent Auction. This takes place Wednesday night. The best illustrators in the business such as David Diaz, Mo Willems, Rosemary Wells, and Marla Frazee have donated their art for the auction. FEAST YOUR EYES ON ALL THE COOL STUFF YOU CAN BID ON!!! Profits from the auction will support the American Booksellers Foundation for Free Expression’s efforts to fight censorship of children’s books through education, advocacy, and participation in legal cases around the country. So you walk away with the coolest art in the world AND you support a very good cause! Buy your tickets right now!! Yes, it’s true. 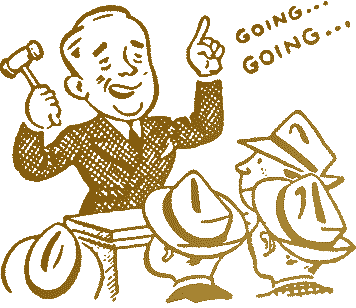 I am the honorary chairperson of the auction this year. Why? Because there are a lot of crazypants people in this country who want to censor reading choices and ban books. Artists and writers are called to defend the freedom of expression that makes America so special. Booksellers have a role to play, too. The freedom to read is as vital as the freedom to think and to have your own opinion. I am so excited to see booksellers fighting hard to preserve those freedoms. Buy your ticket and check out the artwork. What will you be bidding on? Happy Birthday to my favorite (and my local) bookstore, River’s End Bookstore in Oswego, NY. This week is the store’s 13th birthday, which they are celebrating by unveiling their e-commerce site. The owners of the store, Bill Reilly and Mindy Ostrow, have made a tremendous difference to the culture of Oswego and to the feel of downtown. 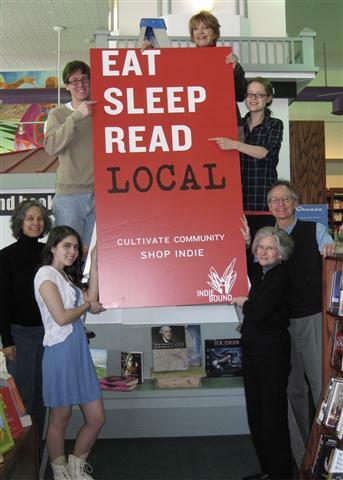 Support your local independent booksellers!! Second Star to the right! 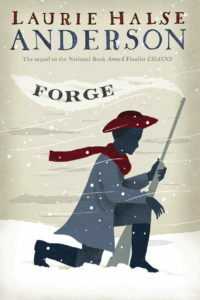 Publisher’s Weekly has also graced FORGE with a star! It’s going to be very hard to get any work done today. Bookavore, bookseller extraordinaire at WORD in Brooklyn (and my oldest kid) has weighed in with a resolution to remedy the mud-slinging that seems to be heating up between adult “literary fiction” authors and adult “genre fiction” authors. (You haven’t heard about the feud? Details here.) If you, too, were a Model UN nerd in high school, this will completely make your day. Even if you weren’t a Model UN nerd, this will make you smile. Set… before you tell the world to go away so you can write, make sure you have blocked out writing time tomorrow and on Sunday. 2. Write down five things of nature you see on your walk. F. ex: brook, dead salamander, clouds. 3. Write one sentence about each item from your POV (point of view). 4. Choose the face of a child from this website. 5. Write one sentence about each of your items from that child’s POV. Then choose the item that is most intriguing to that child and write as much as you can about how it came to be there, about what its purpose is, or about what is going to happen next to that thing. 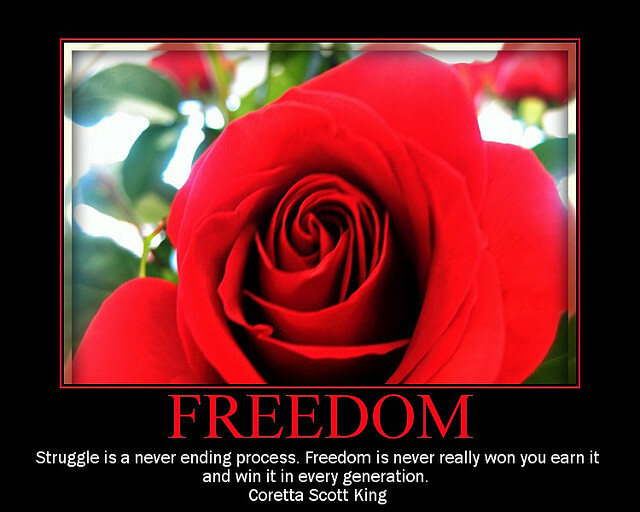 Don’t judge your work, don’t impose your adult vision on the words. Be more chill and let them tumble out.